Wanna Start A Worm Composter? A lot of people have contacted me about worm composting, including most recently Rex who works for the company that makes The Worm Factory, the composter that I use. He liked the videos that I put up on youtube and we got to talking and before you know it, he offered to have folks who come from the blog here get either 10% off on a bin or an extra tray when they order. I should point out that I can't say that these work any better or worse than any other composters, just that they do work well. 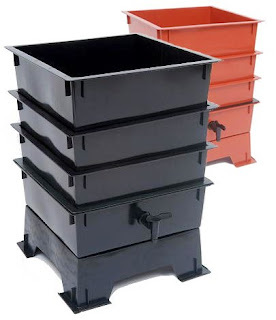 If you want to make a composter yourself at home there are a ton of places to find designs on the web. That said, if you are one of those people who just wants to jump right email me at dave(at)sustainabledave.org and i can get you a unit. Finally, if you are sourcing worms near you, check out this site. 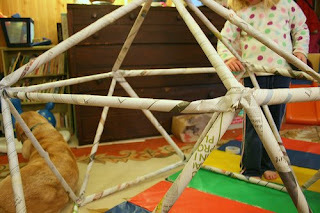 Build your own Newspaper Hut! Have too many newspapers, even more than your worms can eat? Well fear not thrifty re-purposers, here's a cool tip from the web about a way to turn those old news stories into a world of wonder for your kids. Just think, re-purposing and family fun all rolled into one.